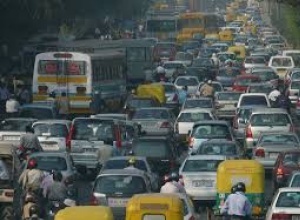 India is set to become be the third largest car market by 2016, ahead of Japan, Germany, and Brazil according to IHS Automotive - a global automotive industry information provider. But are Indian cars as safe as their global counterparts? Well, the folks at New Car Assessment Programme (NCAP) – a global autonomous organization that crashes vehicles and rates them for safety- turned their focus on India to test the most popular cars here for safety. What they found out is enough to send alarm bells ringing. Alto 800, Tata Nano, Maruti Swift, Hyundai i10, and Datsun Go –failed NCAP’s tests and were declared to increase “the probability of life-threatening injuries,” in case of an accident. What seems appalling is the fact that Hyundai i10 produced for the European market passed the test with a five-star rating. The Indian version of i10 along with Tata Nano, Alto 800, Ford Figo and Volkswagen Polo were rated zero-star adult protection ratings. 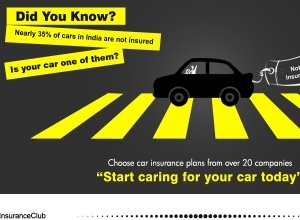 So, if you’re driving a Tata Nano, Hyundai i10, Maruti Suzuki Swift, or Datsun Go on a road in Delhi- which has the dubious distinction of witnessing maximum road crash-related deaths among Indian cities- you might want to have a good motor insurance policy. It’s only hedging the risk that you take while driving. Car insurance not only saves great financial trauma in case of an accident, but also guarantees peace of mind with respect to liability, if an unfortunate third person were to be a victim in an accident involving your car. But there is often confusion regarding what motor insurance entails and careless assumptions lead to many problems for policy holders at the time of claim settlement.